Overcoming Dental Anxiety In Alma, MI! Home > About Us > Blog > Overcoming Dental Anxiety In Alma, MI! Dental anxiety is nothing to take lightly. It all too often keeps people from taking the steps necessary to properly care for their oral health. That’s why, at our Alma, MI dentist’s office, we have invested heavily in the tools, training, and technology that will make it easier for you to come in and be treated without any pain or unpleasantness. Just so you know, Dr. McDonald is qualified to administer dental sedation. Besides that, having a lavender-scented pillow during treatment can make a difference as well! 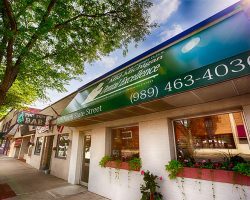 Keep reading to hear all about what we can do for you, and then be sure to follow up and schedule your next appointment at Mid-MIchigan Dental Excellence. We aren’t trying to make you do something you don’t want to do. It’s just that it is always in your best interest to work through your fears and confront the reality of the situation in your mouth. 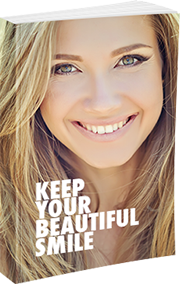 When you don’t visit a dentist every 3-6 months, you will be missing out on the professional-grade cleanings that can keep disease and decay at bay. Plus, you won’t have a team of caregivers who are sufficiently in-tune with the situation in your mouth to be able to detect any emerging concerns. Here’s the thing: untreated cavities can deteriorate to the point where a root canal or extraction is required. This is the sort of thing that we want to help you steer clear of whenever possible. If you are haunted by bad experiences from the past, we will do our best to create good memories moving forward. Our staff is known for being kind, compassionate, and accommodating. But if you need a little bit more than that, we’ve got you covered. We can extend to you all the benefits of sedation dentistry to help you put your fears to rest. If your dental anxiety is not too severe, you are lucky. Odds are, we can help you quickly relax with an inhalation sedation technique involving laughing gas. For this method, we will administer nitrous oxide to you via a small mask that rests over your nose. You will breathe normally throughout your procedure, and our team of oral health professionals can regulate the amount of sedation you receive. Nitrous oxide is plenty for some folks, but if you suffer from mid-range dental anxiety, you are at a much greater risk of having problems and will need to kick up the sedation dentistry levels to get through your visit. The good news is that we can help you relax sufficiently by supplying you with oral sedation. The oral sedation method of sedation entails a prescription sedative that our team will arrange for you to ingest, usually about an hour before your actual appointment is scheduled to take place. Oral sedation is far more intense than nitrous oxide, and will put you at ease for the duration of your visit. Just keep in mind: you will definitely need to find a ride home! Relax! Dr. McDonald Can Help! Contact us today to schedule your sedation dentistry appointment in Alma, MI! We will help you work through your fear and anxiety in order to get the care you deserve.